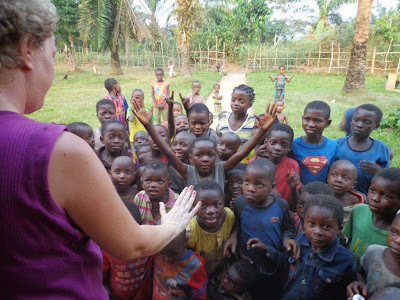 English is NOT the first or second language in Congo and so these rambunctious children simply stood and stared. Lord, what can I do with these kids to honor you? Sing…of course. 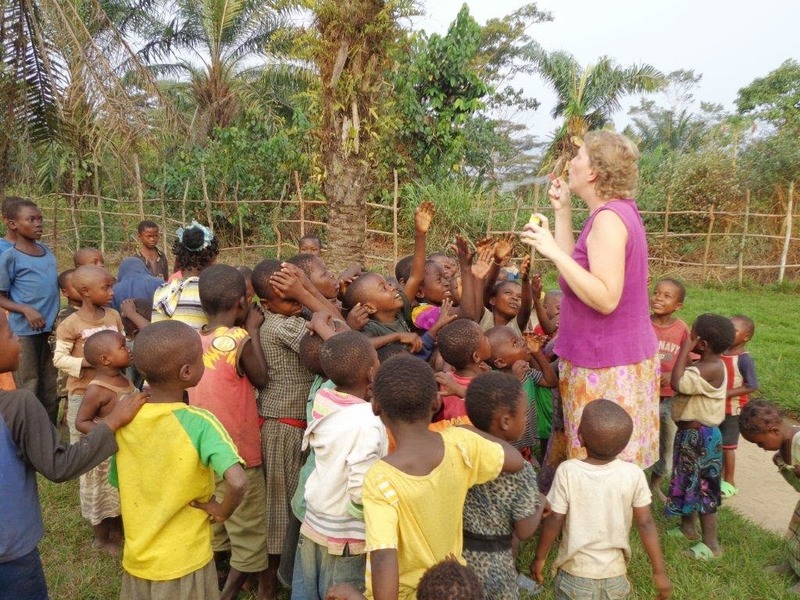 Each day the children came to see what entertaining feat the muzungu would perform and each day they were rewarded with two English children’s songs. Songs with motions are most fun and memorable and so If You’re Happy and You Know It along with Head and Shoulders, Knees and Toes were the songs of choice. Each had a praise component at the end of some very actives motions. By the end of the week the children were singing along with the motions…in English. Whether or not they knew what they were saying is up for debate. I wonder…does it matter? Does God receive glory when we sing worship songs even if we don’t know what we’re singing? The charismatic in my says most definitely yes. Bubbles are another fun and easy way to entertain but too many children chasing after the same six bubbles causes some chaos and injury. Usually the little ones get trampled and so after this first reveal, I was a bit wiser about when to pull out the bubble bottle. Still fun to watch kids who have no idea what these things are finally respond with joy.